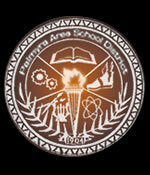 Mrs. Richards is the Supervisor of Special Education for Palmyra Area School District. Mrs. Richards started at Palmyra Area School District in the fall of 2014 as a 7th grade special education teacher at Palmyra Area Middle School. She was the Special Education Consultant from January 2016 to June 2018. Mrs. Richards started her teaching career at Lebanon School District, where she taught 6th, 7th and 8th grade Language Arts Supplemental Learning Support and Itinerant Learning Support. When not at work, Mrs. Richards enjoys spending time with her family, traveling to the shore and watching Philadelphia sports!